The mother of Jessica Hernandez, an unarmed teenager who was fatally shot Monday by Denver police, has called for an independent autopsy to be carried out on her daughter’s body to counter any potential bias that may come from the official investigation. 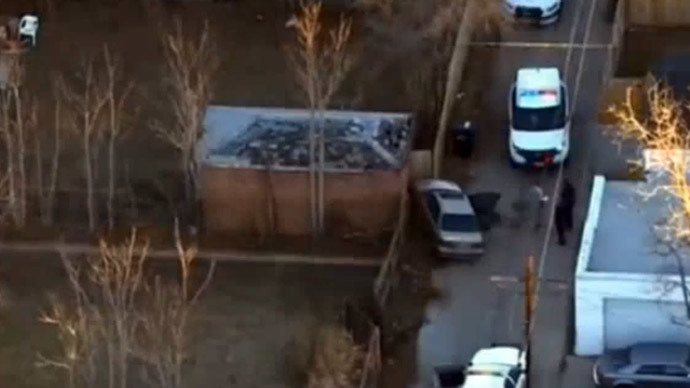 Laura Sonya Rosales Hernandez’s daughter Jessie, 17, was fired upon by two Denver officers who believed she was driving a stolen vehicle through an alley in the city’s Park Hill neighborhood. “I want another autopsy on my daughter so we can know how much damage they did,” Hernandez said, the Associated Press reported. Denver police and an independent police monitor have announced separate investigations into the events of Monday evening. The officers – identified by police as Daniel Greene, a 16-year veteran, and Gabriel Jordan, a nine-year veteran – only shot at Jessie once the car struck one of them, police have said. Both officers have been put on administrative leave. The car “pretty much had him between a car and a brick wall and a fence,” Denver Police Chief Robert White told the Denver Post. Yet one of the four unarmed passengers in the car with Jessie – all of whom left the incident uninjured and were not later charged with any crime related to a stolen car – has said, according to reports, that an officer fired into the vehicle first. Then, with the driver incapacitated, the out-of-control vehicle hit Jordan, breaking his leg. Chief White disputed that narrative. "The investigation will show exactly what happened," he said. "Let's wait and see what happens in the investigation." Meanwhile, a cousin of Jessie’s has claimed that police had been targeting her and her family for weeks based on suspicion of involvement in stolen vehicles, according to Direct Autonomous Media Collective in Denver. The shooting death of Jessie Hernandez marked the fourth time in seven months that a Denver police officer fired at a vehicle, perceiving it as a threat. The Denver Police Department policy encourages officers to try to move out of the way of a moving car rather than shooting at it. “An officer threatened by an oncoming vehicle shall, if feasible, move out of the way rather than discharging a firearm,” the policy states, though officers are ultimately allowed to fire at a moving car if it poses a threat of death or serious injury and when there is no reasonable alternative that would prevent serious injury or death. "Out of fear for his safety, he fired several shots and the other officer also fired several shots,” Chief White said of Monday’s shooting. Both investigations, by the Denver PD and Independent Monitor Nicholas Mitchell, will reportedly involve comparing Denver’s standards for use of lethal force regarding moving vehicles to other policies around the nation. The Denver PD’s current standards follow what the US Supreme Court has ruled about firing on a moving automobile. Yet other police departments in the US – including Albuquerque, New Mexico – have altered their policies to avoid excessive use of force. Experts have said the practice of shooting at a car to disable it is an unpredictable gamble. “If you were to shoot at the driver, you would have an unguided missile, basically,” said Chuck Wexler, executive director of the Police Executive Research Forum, a nonprofit that researches police tactics and policies, told AP. Another police research forum echoed this sentiment in February 2013 review of the US Customs and Border Protection after the federal agency had been found to use the tactic often. "A moving vehicle in and of itself is not a presumed threat that justifies the use of deadly force. Firing at or from a moving vehicle is rarely effective and presents extreme danger to agents and innocent persons." The four Denver PD shootings at moving vehicles in the last seven months have killed two suspects and injured three. At least three officers also suffered injuries during those incidents, according to the Denver Post. According to the Post, about 200 people gathered in front of the Denver PD’s District 2 police station on Wednesday night to protest the shooting. "We're here because the people inside know who did this," said Anthony Grimes of the Denver Freedom Riders, the group that organized the gathering. "We're here now and we will be here and we will challenge their stories." Nearly 100 people protested the shooting on Monday night, which accompanied a vigil for Hernandez. Friends described the teenage girl as a funny and outgoing high school student who loved her friends.